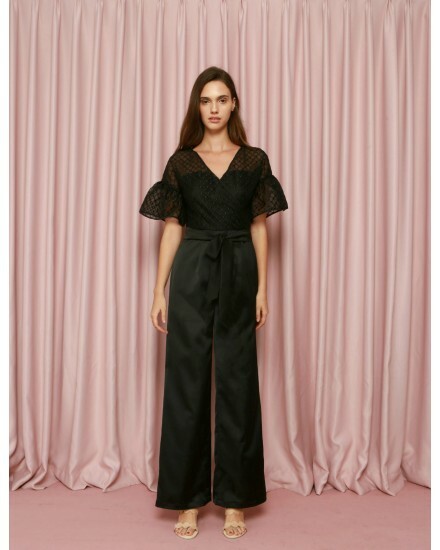 Crafted from stretched polyester, Epiphany Jumpsuit breathes an ultimate feminine statement. Step out in town in Rhapsody Jumpsuit and you'll instantly be the talk of the town (in a good way)! Our all-time bestselling jumpsuit is back in stock with one-of-a-kind print; perfect for your occassions including Christmas and New Year's Eve party! If you're looking for that one particular outfit that you can rock to any occassions, this is THE OUTFIT! 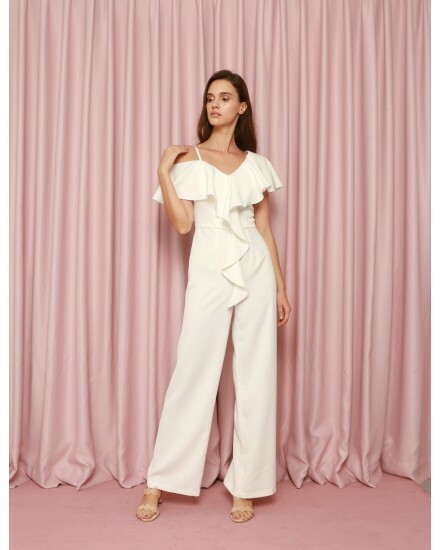 You loved the top, we created the jumpsuit for you!